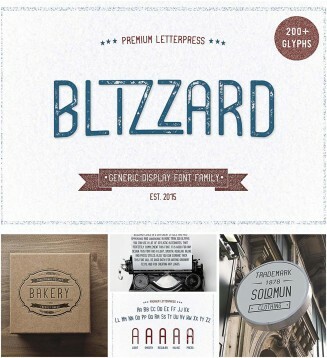 Blizzard comes in 5 different styles, and has uppercase and lowercase in more than 200 glyphs. This font will be good both for writing ordinary texts, and for creating any logos. File format: .otf, .ttf,and .wott for Photoshop or other vector software. Tags: family, font family, geometric, inline, ligatures, light, logo, typeface.